Bob Shanebrook graduated from Rochester Institute of Technology and worked at Eastman Kodak Company for 35 years before retiring in 2003. At Kodak he worked as an industrial photographer, researcher, product development engineer, manufacturing manager, company spokesman for Professional Films, and for more than twenty years was a Worldwide Product-Line Manager for Kodak Professional Films. In KAD Research Laboratory he worked on image evaluation, liquid crystals for imaging, and other electronic imaging devices. 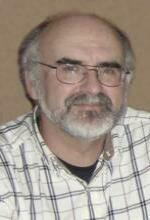 In the Photographic Technology Division he worked on thermal films, x-ray films, and then experimental T-Max Films. His technical photographic papers have been published by Association for Information and Image Management, Radiological Society of North America, and Society for Imaging Science and Technology. He was instructed by and later worked on photographic projects with John Sexton and Ansel Adams. 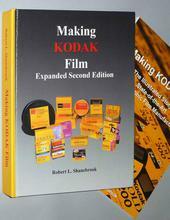 At Kodak he won the Everest Award and the Outstanding Innovation Award for film technology advancements. He was on the Board of Directors of the Friends of Photography, Carmel and San Francisco, California. Bob consults in the fields of silver halide technology and photographic history at George Eastman Museum, Rochester, NY. He and his wife Lynne live and sail on Irondequoit Bay, near Rochester, NY. They have adult children, Stefanie and Adam.